Editor’s Note: This is the first of a multipart story concerning the life and accomplishments of Ralph Soberg, a foreman for the Alaska Road Commission who was in charge of the construction of the Sterling Highway from its junction with the Seward Highway near Tern Lake to its terminus in Homer. This week, Part One introduces Soberg and provides an overview of some early stages in the highway construction. Photos courtesy of Hardscratch Press. 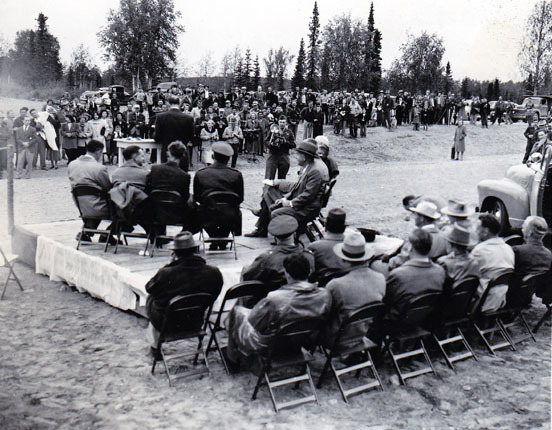 Above and below are images from the dedication of the Sterling Highway at the Soldotna bridge in 1949. “Doc” Macdonald earned his nickname because he had studied dentistry before turning to roadbuilding. He was known to the men of the Alaska Road Commission as a capable worker willing to tackle any job. 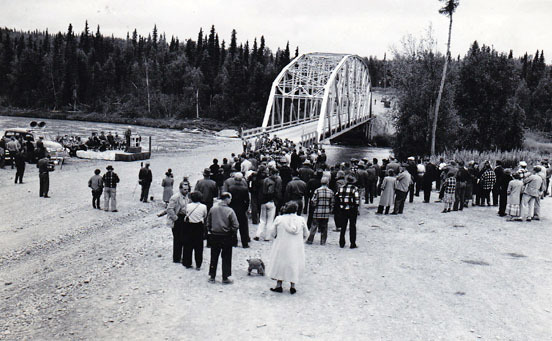 After a tragic incident during the 1948 construction of the original Kenai River bridge in Soldotna, Macdonald also became known as the only casualty incurred during the building of the Sterling Highway. “Doc was the first and only man I ever witnessed lost on a bridge site,” said Ralph Soberg, foreman for the highway-building project and a veteran of 26 years of building roads and bridges throughout Alaska. Soberg, writing about the incident in his memoir, “Bridging Alaska,” said that Macdonald had been jarred off his perch — where he was standing atop a piece of steel and holding onto a cable while attempting to help fit a second piece of steel into place. While wearing a belt weighted with bolts and tools, he plummeted into water about 10 feet deep. “I yelled for someone to get the boat out, and a couple of fellows did, rushing out as fast as they could with a pike pole,” said Soberg, who had also been on the bridge and had attempted unsuccessfully to reach out and grab Macdonald as he fell. “Doc came up just once. I yelled at him to drop his tool belt, and all he said was, ‘I can’t.’ Back down he went. He never came up again. The incident temporarily stymied production on the bridge, as a number of the construction crewmembers were reluctant to climb out again over the cold river, but after two days Soberg, who was also grieving, convinced the men that the work had to continue. Soberg had met Macdonald when they had worked together for the ARC in the Interior in the early 1940s. Macdonald had once helped Soberg with a toothache. 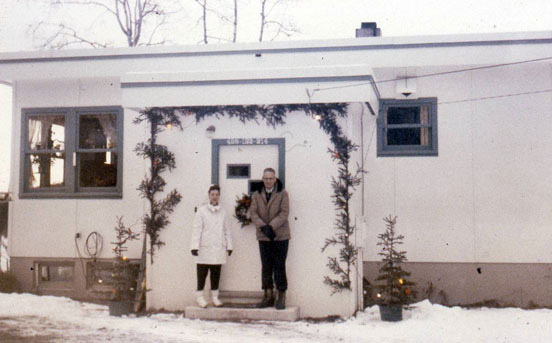 The Sobergs stand outside their ARC home at Soldotna Creek, likely in the 1950s. This building, now refurbished, is the new home of the Kenai Watershed Forum. Territory, and many times during his years on the Kenai Peninsula, Soberg found himself improvising to get a job done. 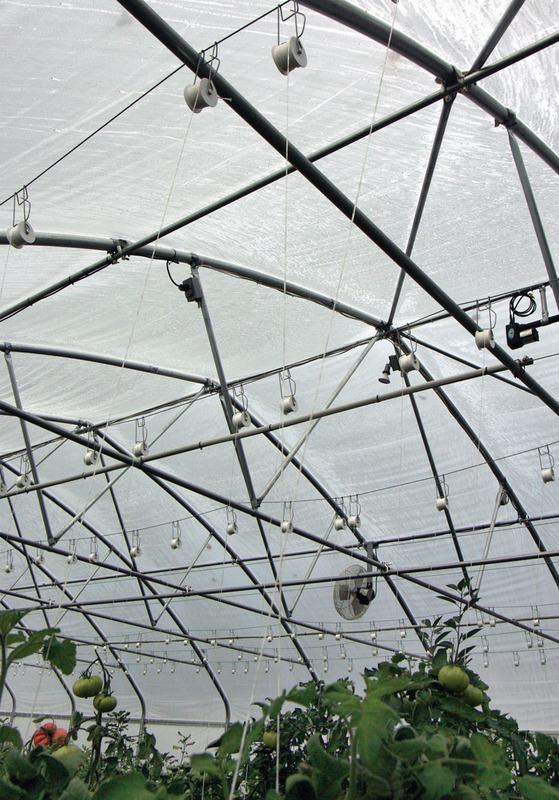 One such improvisation occurred in Homer in the spring of 1945, the year before the highway project was funded. Hawley Sterling, the ARC civil engineer after whom the Sterling Highway would eventually be named, sent Soberg to Homer in May 1945 to rebuild the road to the Homer Spit. The road, which allowed local residents to gain access to the dock at the end of the sandy spit, had been washed out by the tide in the area known — and for good reason — as Mud Bay. “Sterling said they had decided that a foundation of 500 to 1,000 feet of log cribbing would have to be built and filled with mud to support a new section of road,” Soberg said. It was decided that loggers would be hired to fell timber near Halibut Cove across Kachemak Bay, that a large fishing boat would be hired to tow the logs to the construction site, and that they would have to fill their log cribs with mud in order to prevent high tides from carrying them away. Despite such careful planning, however, problems arose: Equipment bogged down and sank in the mud, requiring hurried rescue efforts before it succumbed to incoming tides. Despite the mud weights, cribbing continued to be uprooted, necessitating the construction of dikes to keep the ocean at a distance. And when the cribbed road was finished, crews struggled to find enough good local gravel to haul in to create the road. 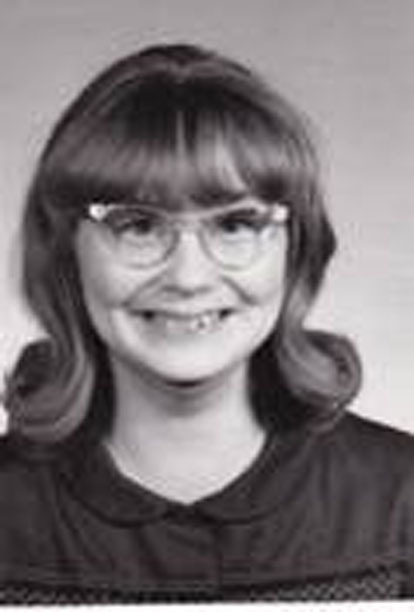 Photo courtesy of the Kenai Peninsula College photo archive. 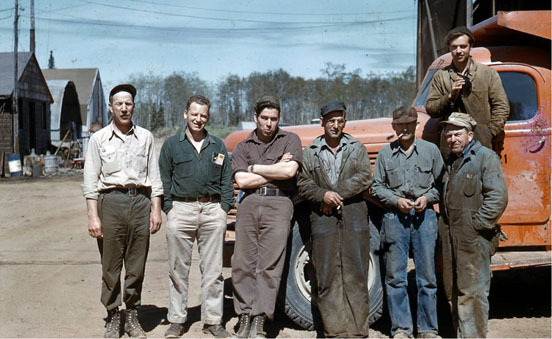 The ARC shop crew, in charge of equipment maintenance, probably in 1952. From left are Russell Bagley, Dale Doner, Dale Rorrison, Paul Tachick, Bill Stock, Jake Dubendorf and Marion Hergatt. route for a proposed highway to connect the Seward Highway near Tern Lake (then called Mud Lake) with the rest of the western peninsula all the way to Homer. 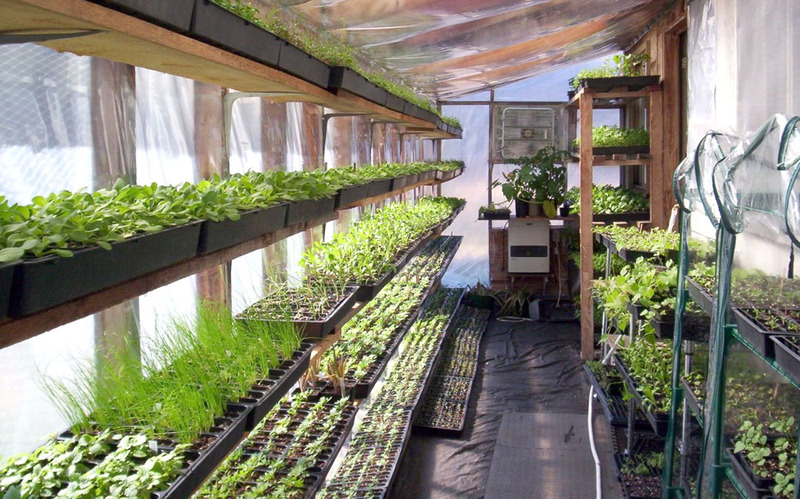 With the end of World War II, veterans were returning home, and the federal government was preparing to make homesteading land available. The new highway would help open up this new land. In the spring of 1946, Chris Edmunds, the Anchorage district superintendent for the ARC, told Soberg that Congress had come up with $3 million to turn Sterling’s dream into a reality by funding a new highway through the Kenai National Moose Range. Soberg was assigned to head up the north end construction zone, and Claude Rogers was assigned to start work on the highway at the Homer end. 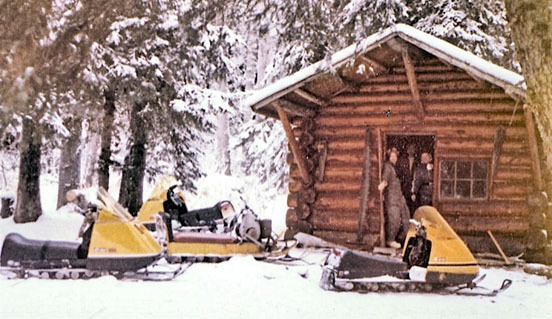 After the war, the ARC inherited military-surplus equipment from throughout Alaska, and Anderson Transportation was chartered to haul it on a barge to Kenai, where Frank Hall of the Civil Aeronautics Administration showed Soberg the riverbank on which his agency had unloaded its own equipment. Using a tracked vehicle, ARC crews pushed a ramp up to the barge when it arrived. They then established head-quarters camp about two miles east of Kenai (where Wal-Mart is currently located). 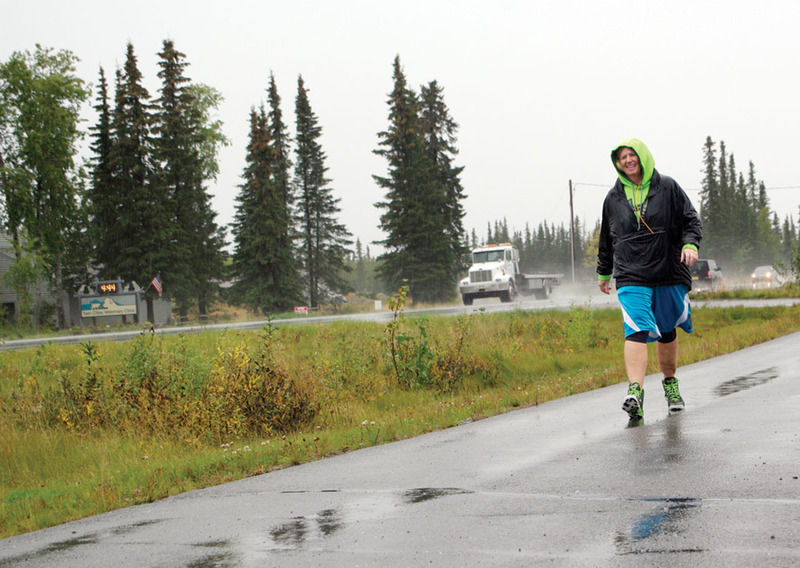 Work began on a spur road that would connect the village of Kenai with the main highway at a junction inside a large river meander. This junction, known as “the Y,” lay approximately 10 miles east of Kenai and became the site of Soldotna. 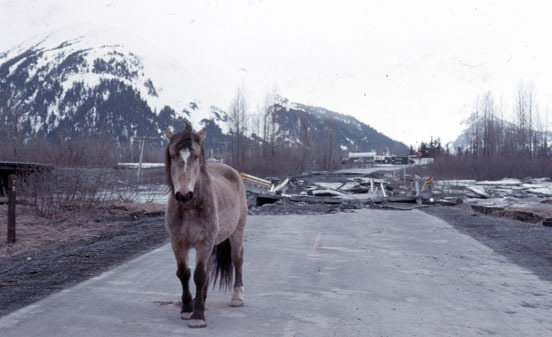 “We realized that the junction and the bridge (over the Kenai River) would inevitably become the location of a city and were satisfied that the expanse of well-drained flat country underlaid with gravel would be a most favorable site,” said Soberg in a Peninsula Times article from 1962. 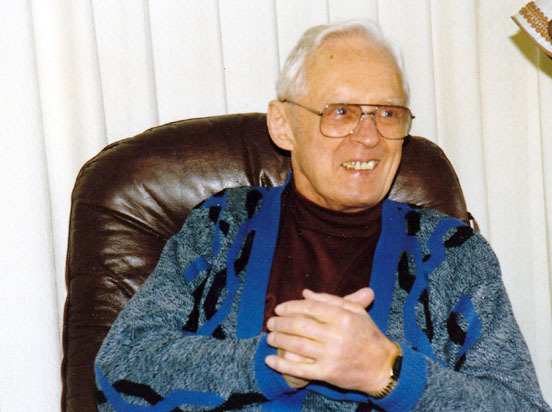 Ralph Soberg in the early 1990s. the Y to the confluence of the Moose and Kenai rivers. Since a tote road (roughed-out supply route) had already been established from Cooper Landing to the north bank of the Moose, the road builders started work on a temporary wooden-trestle bridge, using timbers from military salvage structures hauled in from Southeast Alaska. By Christmas, the temporary bridge was in place, and supplies began flowing across to allow Soberg and the ARC to extend the highway south toward Homer and the crew of Claude Rogers.